Reading his own newspaper's obituaries, veteran reporter Carter Ross comes across that of a woman named Nancy Marino, who was the victim of a hit-and-run while she was on the job delivering copies of that very paper, the Eagle-Examiner. Struck by the opportunity to write a heroic piece about an everyday woman killed too young, he heads to her wake to gather tributes and anecdotes. It's the last place Ross expects to find controversy—which is exactly what happens when one of Nancy's sisters convinces him that the accident might not have been accidental at all. It turns out that the kind and generous Nancy may have made a few enemies, starting with her boss at the diner where she was a part-time waitress, and even including the publisher of the Eagle-Examiner. Carter's investigation of this seemingly simple story soon has him in big trouble with his full-time editor and sometime girlfriend, Tina Thompson, not to mention the rest of his bosses at the paper, but he can't let it go—the story is just too good, and it keeps getting better. But will his nose for trouble finally take him too far? 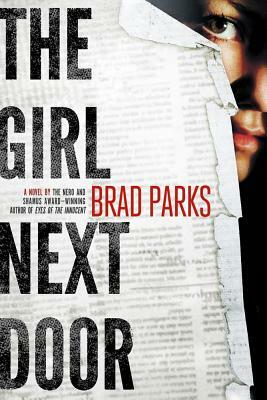 Brad Parks's smart-mouthed, quick-witted reporter returns in The Girl Next Door—another action-packed entry in his award-winning series, written with an unforgettable mix of humor and suspense.